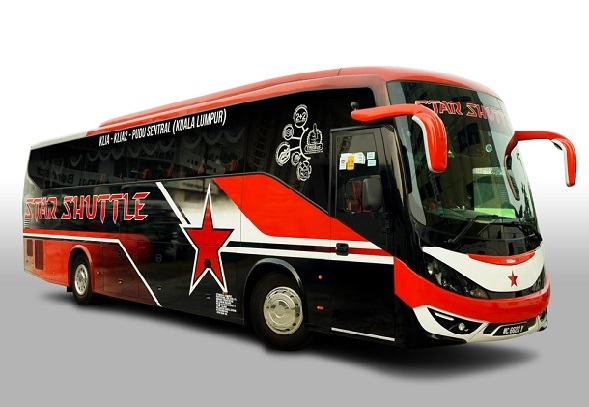 STAR SHUTTLE was operating within airport (KLIA / LCCT) to Kuala Lumpur since 2007, Ipoh since 2008 and Sitiawan since November 2009 with 22 units 28 seater SVIP & 44 seater coach. Please refer to our schedule here. Contact No: 03-40438811 or view location map here. Contact no. 017-373 1288 (4am~2pm) or 017-331 2988 (10am~10pm) or view location map here. Tel: 05-6928000 or view location map here. – View location map here. 3) No. 618-G, Jalan Teluk Intan 3, Bandar Baru Teluk Intan, Perak.